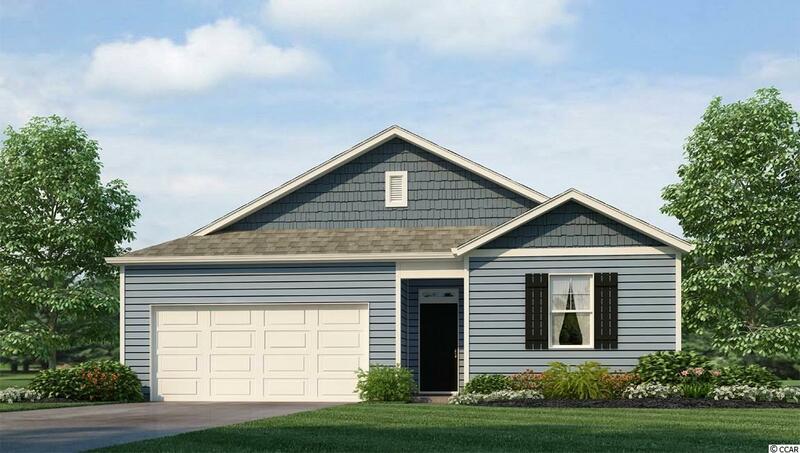 The Kerry is a one level home with 3 BR 2 Bath, 1476 heated sq. ft. plus a 2-car garage with an open floor plan that features a comfortable kitchen with a huge island which opens to your large living/dining room. Granite counters, pantry and stainless appliances. Low maintenance luxury floating vinyl wood plank floors throughout main living room, kitchen, both baths and the laundry room. The owners suite is located off the back of the home and offers a large walk-in-closet and Master Bath with 5 ft. walk-in shower, and cultured marble vanity top. Oak Glenn features large home sites with a minimum of 20 ft. of separation between homes. The community is located within minutes to Historic Downtown Conway, shopping, restaurants, and the River Walk. Pictures are of the same plan model home and are for illustration purposes only. Home and community information, including pricing, included features, terms, availability and amenities, are subject to change and prior sale at any time without notice or obligation. Square footages are approximate. Pictures, photographs, colors, features, and sizes are for illustration purposes only and will vary from the homes as built. Equal housing opportunity builder.